The first season was originally intended to be nine episodes, but due to the 2007–2008 Writers Guild of America strike only seven episodes were filmed. The first season premiered on January 20, 2008, and concluded on March 9, 2008. The complete first season was released on Region 1 DVD on February 24, 2009 and Region A Blu-ray on March 16, 2010. 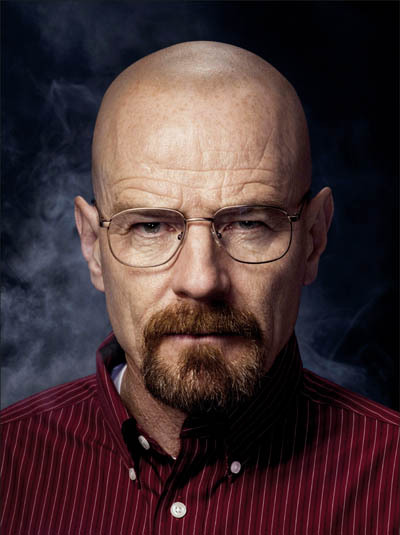 A struggling high school chemistry teacher, Walter White , is diagnosed with incurable, advanced lung cancer. On a ride along with his DEA agent brother-in-law Hank , Walter sees a former student of his, Jesse Pinkman , fleeing the scene of a meth lab. He later contacts Jesse and devises a scheme to become partners in an attempt to combine their skills to manufacture and distribute methamphetamine. Walter says he wants to provide financial stability for his pregnant wife, Skyler and disabled son, and to pay for his expensive cancer treatment. During Walter and Jesse's first days of selling Albuquerque's finest meth, they encounter a series of problems with local drug dealers. On May 7, 2008, AMC announced that Breaking Bad was renewed for a second, 13-episode season. Production began in July 2008 and the season premiered on March 8, 2009 and concluded on May 31, 2009. The complete second season was released on Region 1 DVD and Region A Blu-ray on March 16, 2010. Walter continues to find himself facing insurmountable medical bills from his cancer treatment. Despite having several bad experiences while producing meth with Jesse, Walter agrees to rejoin his partner. The two begin producing meth but run into multiple problems. Jesse's friend Badger is arrested while selling meth in a sting operation. Walter hires a lawyer, Saul Goodman , to help Badger. Walter and Jesse drive a recreational vehicle into the desert and produce meth for four days. Later, Combo, another one of Jesse's friends and distributors, is killed by a rival gang for selling meth on their territory. Saul suggests the two find a new distribution model. Saul finds them a new business partner, Gus Fring , who is willing to pay $1.2 million for the 38 pounds of meth they produced. Walter hastily delivers the product to Gus, but misses his daughter's birth. Skyler confronts Walter about his frequent absences and excuses. She begins to piece together his secret life, and demands the two separate. Walter wishes to reunite his family, but Skyler is still suspicious of Walter's second life. Walter believes he can mend the tension between them by confessing to her that he has been producing meth. Skyler is appalled by the confession and demands a formal divorce. Meanwhile, Gus offers to pay Walter three million dollars for three months of his service. He even offers to provide Walter with a state-of-the-art production facility and a brilliant lab assistant, Gale . Jesse is continuing to produce and sell meth by himself. Hank is working with the DEA to investigate Jesse and is slowly gathering evidence to make an arrest. Jesse threatens to report Walter to the police if he is arrested, but Walter offers him Gale's position at the lab. 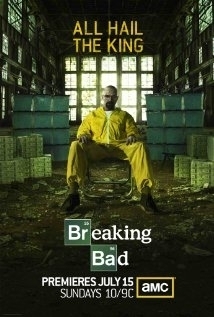 After obtaining the position, Jesse begins stealing meth from the lab and selling it in secret on the side. Walter aids Jesse in escaping from Gus's wrath. Gus begins to lose trust in Walter and asks Gale to take over the lab. He orders his henchmen to kill Walter and Jesse. After he is abducted by Mike and Victor, Walter instructs Jesse to kill Gale in order to become the organization's only chemist. On June 14, 2010, AMC announced Breaking Bad was renewed for a fourth, 13-episode season. Production began in January 2011, the season premiered on July 17, 2011 and concluded on October 9, 2011. Originally, mini episodes of four minutes in length were to be produced before the premiere of the fourth season, but these did not come to fruition. Jesse follows Walter's instructions and murders Gale. Gus decides to discipline the two by enforcing stricter policies at the lab. He also tries to break Walter and Jesse's friendship by assigning them to separate work details. While Walter works in the meth lab, Jesse escorts Mike , one of Gus’s enforcers, to retrieve payments and provide back-up. Walter and Jesse become increasingly distant and hostile to each other. Meanwhile, Hank, who has been recovering from his last engagement with the cartel, finds evidence linking Gale to Gus. He believes Gus is a major drug distributor and starts looking for tangible evidence to file charges. Gus realizes Walter's close ties with Hank could jeopardize his entire operation. Gus fires Walter and threatens to kill his entire family. Jesse and Walter put their differences aside and agree to murder Gus. Using the immobile Hector to pull the trigger, Walter successfully kills Gus and his henchman. He and Jesse proceed to destroy the meth lab and Walt declares to his wife, "I won." On August 14, 2011, AMC announced that Breaking Bad was renewed for a fifth and final season consisting of 16 episodes. The episodes are expected to be filmed together but may be split into two seasons, with the final scheduling decision to be made at a later date. Whole or part of the information contained in this card come from the Wikipedia article "Breaking Bad", licensed under CC-BY-SA full list of contributors here.